Jasper's restaurant seats 125 and is open for lunch Monday-Friday 11:30-2:00 and for dinner Monday through Saturday, from 5:00 P.M. till 10:00 P.M. Lunch prices range from $5.00-$9.00 and dinner from $8.95-$15.95. 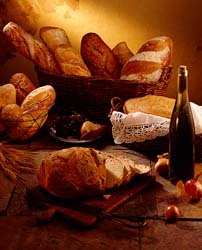 The menu features favored items from Jasper's and the old Trattoria, including the famous Shrimp Livornese, Caesar salad, peppered steak, a wide selection of appetizers, pasta, chops, fresh seafood, and fresh baked breads and pastries. The wine list includes over 200 selections from Italy, with a wide variety priced at $18.00 a bottle. The bar features Kansas City's largest selection of grappa and espresso drinks. The kitchen is headed by Jasper Jr. and his chef of 22 years, Marvin Lewis. Every cook has returned to the kitchen, including Jasper's sous chef, sauté cooks, pasta, and pastry chefs. Of the 50 employees, only 5 new employees were hired for the front of the house. *Consuming raw or undercooked meats, seafood, shellfish, or eggs may increase your risk of food-borne illness. "The Return of Jasper's is the Best Gift for Local Gastronomes"
The restaurant was designed by Matthew Connolly, A.I.A. of MDC Architecture. He incorporated many items from the old restaurant on 75th Street including carpet, mirrors, 80 year-old doors, and other dining room fixtures for the contemporary rustic Italian decor. A patio offers a view of the Indian Creek and seats 50. The dining room features a private dining room that seats 8-10 and includes all of the awards, family pictures, and articles from the former Jasper's. Jasper Sr. helped design the restaurant and menu before his recent death. Many of his signature items are on the new menu. The dress is casual, reservations for parties of 6 or more are accepted. For more information, contact Jasper Jr., at 816.941.6600. The history of Jasper's Restaurant at 1201 W. 103rd Street in Kansas City, Missouri is an Horatio Alger story, an American saga of success attained through hard work and steadfast devotion to excellence. 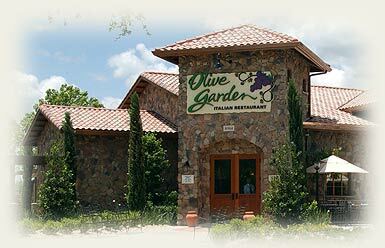 Today, enjoying a premier status among American dining establishments. Jasper's was a simple enough neighborhood place at the time of its founding forty-five years ago. But even then, an uncompromising standard of food quality and service set Jasper's apart from its contemporaries. The progress from simple steak and pasta meals to exotic meat, fowl, and seafood specialties with distinctive, subtle sauces has been a dramatic one. But it has also been a logical development, given the restless perfectionism of the restaurant's founder, Jasper J. Mirabile. In the earlier years, Jasper pursued his quest for culinary excellence through restaurant trade journals. As his business grew, he started to travel to the places, both here and abroad, where the finest food is served. Today, he might fly to either coast or to Europe for a single meal at a restaurant where he has heard of an outstanding dish being served. Recognition has been gratifying on a nationwide basis. In addition to its position as "Kansas City's Most Prized Restaurant" in terms of prestigious awards, Jasper's has been praised by national media and celebrated personages. In reporting the 1976 Republican Convention in Kansas City, TIME MAGAZINE spoke of Jasper's as one of the two best restaurants in the city. America 's foremost food critic, Craig Clairborn, has included a Jasper's recipe in his book on great veal dishes. 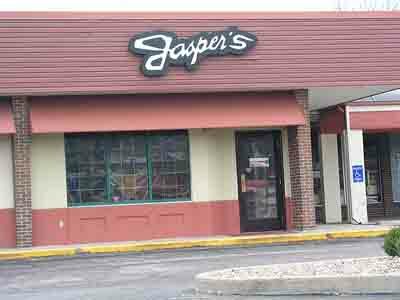 A bevy of famous celebrities such as Bob Hope, Walter Cronkite, Hank Stram, Milton Berle Anthony Quinn and Mitzi Gaynor, and many others have all dined at Jasper's and have praised its service. The Jasper's tradition promises to be a continuing one. The restaurant's operation, which is overseen by Jasper's two sons, Leonard and Jasper Jr. Leonard is an alumnus of the School of Restaurant Management at the University of Denver. Jasper Jr. has attended the counterpart of that school at the University of Nevada in Las Vegas. A thorough going family enterprise in spite of its cosmopolitan dining atmosphere, Jasper 's makes all its own pastas and desserts. The latter are generally the work of Jasper's wife, Josephine. Every Sunday night, the family tests new recipes in the spacious kitchen at the Mirabile Home, where three generations of Mirabile's and an assortment of friends provide a rigorous standard of judgement. 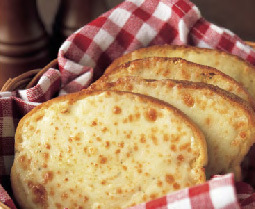 "If a dish can pass this test", says Jasper Jr., "it's good enough for our customers." For Jasper J. Mirabile Jr., working in the kitchen of Kansas City's most award winning restaurant, Jasper's, has become a homecoming of sorts - a homecoming to his family-owned establishment. 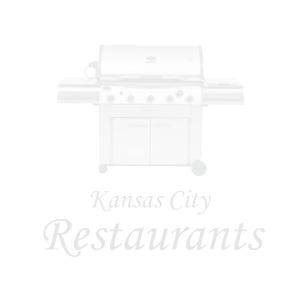 Jasper was named executive chef of Kansas City's premiere dining room in May of 1984 at the young age of 22. Jasper had spent the past college years at the University of Nevada, Las Vegas, Hotel and Restaurant School. During the summer vacations each year he would travel to Europe to visit cooking schools in Paris, Venice, and Milano. Mirabile's family history reflects a love for fine food and elegance. His grandmother helped his father launch Jasper's back in 1954, now almost 45 years later, Jasper has taken over reins of the 2000+ square foot kitchen, as he oversees the staff of 15 assistants. In his own style, Jasper creates dishes from his own Sicilian background, along with a very heavy influence from Tuscany and the Piemontese regions of Italy. In 1986 Mirabile began offering cooking classes in the Dining room at Jasper's, with such themes as Cuccina 101, Primi-Primi-Primi, Pasta Cookery 101, Veal Cookery, Cucina Sicilia, as well as his special Christmas, Valentine's Day and Mother's Day luncheon classes. For the past 8 years, every class has been a complete sellout. Since 1990, Jasper has become a naturally acclaimed chef in his own rite. He has made guest chef appearances at The James Beard House in L.A., New York, Milan, and Paris. He has been written about by every major newspaper and magazine including Laudes by USA Today, New York Times, Midwest Living, and Italy's Cucina. Attorney: Salvatore J. Mirabile, ESQ. 1954: JASPER MIRABILE STARTS A SMALL NEIGHBORHOOD BAR AND RESTAURANT AT 75TH & WORNALL IN SOUTHERN KANSAS CITY. 1959: JASPER COMPLETELY REMODELS THE NEIGHBORHOOD BAR INTO A GRAND LUXE DINING ROOM AND LOUNGE AND ADDS A NORTHERN ITALIAN MENU AND ADDS A PRIVATE DINING AREA. 1967: JASPER PURCHASED THE WHOLE BLOCK AT 75TH AND WORNALL AND TORE DOWN THE BUILDINGS AND EXPANDED THE RESTAURANT AND THE MENU INTO A FOUR STAR DINING ESTABLISHMENT. 1972: JASPER 'S RESTAURANT IS DESIGNATED AS A HOLIDAY AWARD RESTAURANT A WORLDWIDE AWARD AND DESIGNATED AS ONE OF THE BEST RESTAURANTS IN THE WORLD. 1975: JASPER ADDS A NEW PARTY ROOM AND EXPANDS BUILDING WITH A NEW LOUNGE AND LOBBY AREA. 1978: JASPER 'S BECOMES A COVETED MOBIL FOUR STAR RESTAURANT "WORTHY OF A SPECIAL TRIP". 1981: JASPER 'S TOTALLY REMODELS RESTAURANT AND LOUNGE AREA TO BECOME KANSAS CITY'S ONLY GRAND RESTAURANT. 1984: JASPER'S OPENS MARCO POLO'S DELI A SMALL ITALIAN NEW YORK STYLE DELI TO CATER TO THE FAST PACED PEOPLE OF TODAY. 1984: CARTIER NAMES JASPER 'S ONE OF THE BEST RESTAURANTS IN AMERICA. 1985: EAST-WEST NETWORK VOTED JASPER 'S AS ONE OF THE TOP 75 RESTAURANTS IN AMERICA, VOTED BY 100,000 FREQUENT FLYERS ON AIRLINES. 1989: JASPER 'S TOTALLY REMODELS THE LOUNGE AND LOBBY AREA AND REMODELS THE DINING AREA TO ENHANCE A GUESTS DINING PLEASURE. 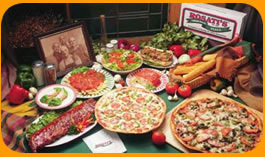 1990: MARCO POLO'S DELI EXPANDS TO A TRATTORIA STYLE RESTAURANT WITH CASUAL ATMOSPERE AND REGIONAL ITALIAN COOKING. 1991: JASPER'S BECOMES ONE OF 9 ITALIAN RESTAURANTS IN AMERICA TO BE NAMED WORTHY OF THE COVETED 4 DIAMONDS FROM AAA MOTOR CLUB. 1991: JASPER IS NAMED TO THE BOARD OF DIRECTORS OF BOTH THE NEWLY FORMED, DISTINGUISHED RESTAURANTS OF NORTH AMERICA, AS WELL AS GRUPPO RISTORANTE ITALIANO. 1992: JASPER 'S IS NAMED ONE OF THE TOP RESTAURANTS IN AMERICA BY THE DiRONA AWARDS COMMITTEE. 1992: JASPER 'S IS NAMED BEST OF THE BEST ITALIAN RESTAURANTS IN AMERICA AWARDED FIVE STAR DIAMONDS. 1993: JASPER 'S IS THE ONLY RESTAURANT IN KANSAS CITY TO BE NAMED WORTHY OF THE MOBIL 4 STARS, AAA 4 DIAMOND, THE DIRONA AWARD, AND THE GOLD FIVE STAR-DIAMOND AWARD. 1995: JASPER JR., EXECUTIVE CHEF, INVITED TO COOK AT THE JAMES BEARD HOUSE IN NEW YORK CITY. NEW YORK FOOD CRITCS GIVE OUTSTANDING REVIEWS. THE BEARD HOUSE IS KNOWN AS THE CULINARY MECCA FOR CHEFS TO SHOWCASE THEIR TALENT. 1996: JASPER JR., EXECUTIVE CHEF IS AGAIN INVITED TO DO THE JAMES BEARD DINNER THIS YEAR. 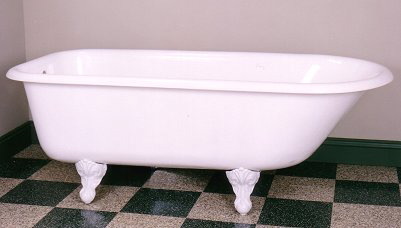 1996: JASPER IS VOTED INTO THE DIRONA HALL OF FAME. 1 OF ONLY 18 OTHER RESTAURANT OWNERS IN AMERICA TO BE SO HONORED. 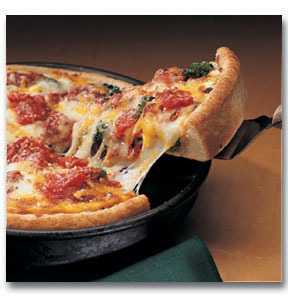 1997: JASPER 'S RESTAURANT NAMED AS THE BEST ITALIAN RESTAURANT IN KANSAS CITY BY THE ZAGAT GUIDE. 1998: JASPER'S RESTAURANT AND MARCO POLO'S ARE SOLD TO WALGREENS DRUG, THUS ENDING 44 YEARS IN BUSINESS JASPER RETIRES AND HIS SONS, LEONARD AND JASPER JR. PURCHASE THE WATTS MILL SHOPPING CENTER ON 103RD AND STATE LINE. PLANS FOR A NEW RESTAURANT, TO BE OPEN IN 1999, ARE MADE. 1999: THE NEW JASPER 'S RESTAURANT AND MARCO POLO'S ITALIAN MARKET OPENS OVERLOOKING WATTS MILL AND INDIAN CREEK.